There is not a soul in the world that doesn't love a good underdog story, especially when it's from a sport they love and connect with. In tennis, it's a special feeling if your favourite player wins a Grand Slam. But the feeling is on a different level altogether, kind of like an uplifting experience, when an underdog win their first. There have been many such instances all throughout the rich history of the sport. 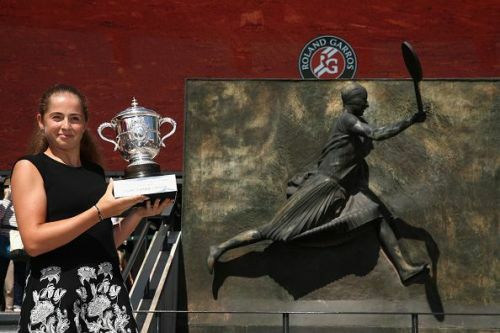 Jelena Ostapenko caused a bit of an uproar when she lifted the Roland Garros trophy more than a year ago. More than the fact that she was a mere 20-year-old, her powerful winners were what that caught the eye. At the start of the tournament, she was ranked 44th in the world. In the 2nd round of the 2017 French Open, Ostapenko defeated reigning Olympic champion Puig. The experienced Stosur was the victim in the 4th round. She also ousted 11th seeded Wozniacki in the quarters and removed another seed, Bacsinszky to reach the final. Playing against Halep in the summit clash seemed to affect the Latvian's game. She lost the first set and was facing a break point at 0-3 in the second. It looked like history was going to repeat itself as no woman had won a French Open final after losing a set. But, she proved that was just an initial stutter, winning 6 out of the next 7 games to take the match into a decider. The youngster held her nerve in the 3rd set to win the final 4-6, 6-4, 6-3. With that, Jelena Ostapenko became the first Latvian Grand Slam winner. The Argentine had the toughest possible start, having to play 10 sets in the first 2 rounds. After entering the quarters 2 matches later, he showed no fatigue in breezing past the 12th seeded Hewitt in straight sets. He continued the streak as the 8th seeded Nalbandian went down in similar fashion in the semis. The final against fellow countryman Coria was the toughest contest for Gaudio. After winning the first 2 sets effortlessly, he lost the 3rd and was destroyed in the 4th. The 5th set was a long one where the South American had to save match points twice. A player hadn't won a Grand Slam final after facing a match point in the Open Era, but he broke the odds and won the final 6-0, 6-3, 4-6, 1-6, 8-6. 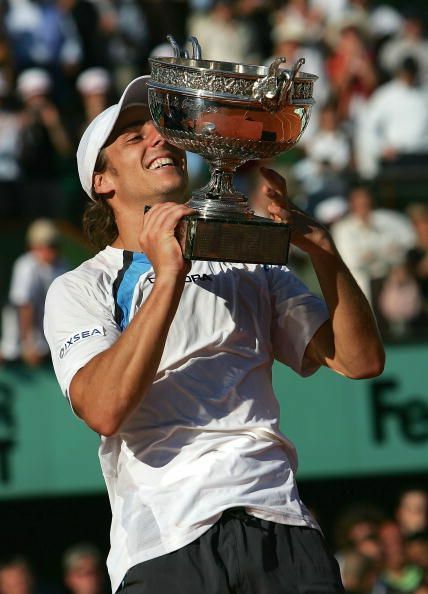 By winning the French Open, Gastón Gaudio became the first Argentine in 25 years to win a Grand Slam.